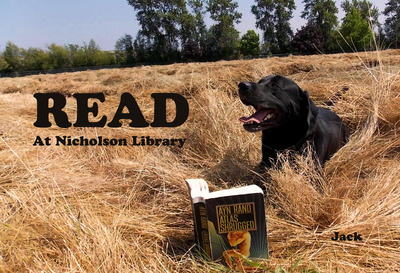 Jack, owned by Amanda Martin (Serials Coordinator), reading Atlas Shrugged, by Ayn Rand. Terry, Paula and Nicholson Library Staff, "Jack READ Poster" (2012). READ Poster Gallery. Image. Submission 103.